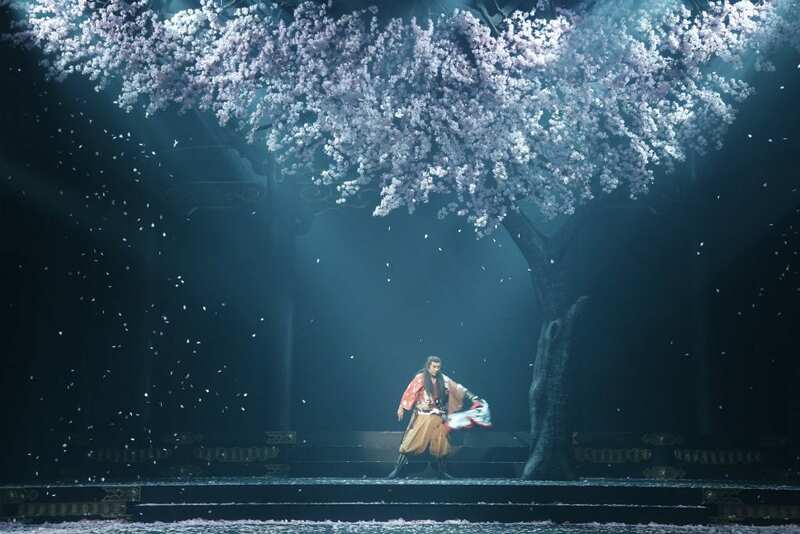 I’m far from an expert on Japanese theatre, but given that what we have here is a Japanese company bringing their Macbeth to London, it seems fair to review it on the basis of how it is likely to strike an audience used to more traditionally “western” performance styles. And there is undeniably a difference. 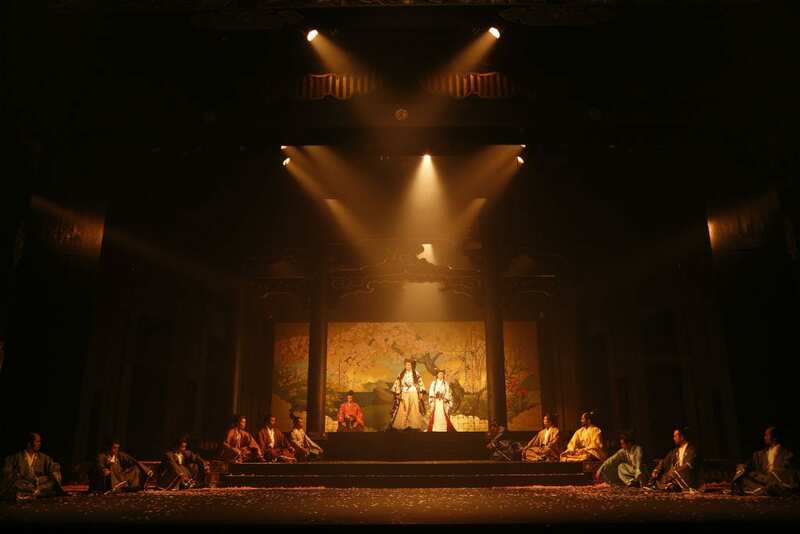 Ninagawa declaim the text rather than speaking it, and you lose the changes in inflection you might expect, for example, where Lady Macbeth’s bravado gives way as she reflects how much the sleeping Duncan looked like her father. Likewise, their use of physical gesture is non-naturalistic, no doubt tapping into a tradition we know little or nothing about, as perhaps does the framing device of the two old women prostrating themselves before the temple. Why, then, the unqualified five star review? Because, taken on its own terms, it’s just so damn good. Obviously a society like feudal Japan is as good a setting for a tale of regicide as a European monarchy, and the result is far from cold and unemotional – Keita Oishi’s Macduff hearing the news of his family’s slaughter is one of the most moving I have ever seen, as is Masachika Ichimura as Macbeth putting on his dead wife’s kimono to fight his final battle. 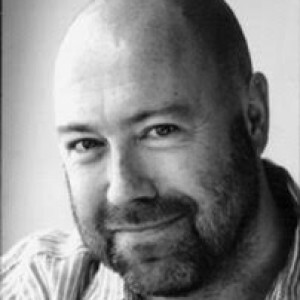 RSC Artistic Director Gregory Doran refers in the programme to the “cherry blossom Macbeth”, and indeed when Birnham Wood ups sticks and comes to Dunsinane, it’s adorned with some rather unScottish foliage – one of many astonishingly beautiful images created by set designer Kappa Senoh and lighting designer Sumio Yoshii. The sound design by Katsuji Takahashi makes great use of the Sanctus from Fauré’s Requiem and Barber’s Adagio for Strings – to my mind the former is more successful, but then that may just be because it’s a much better piece. And of course – did we ever doubt it? – the sword fight at the end is superb. There are one or two howlers in the surtitles – Lady Macbeth hopes to be filled with “direst” cruelty, not “direct” – and somehow having them so far to either side is more distracting than having them centre stage. But these are minor quibbles in what is an unmissable theatrical experience. 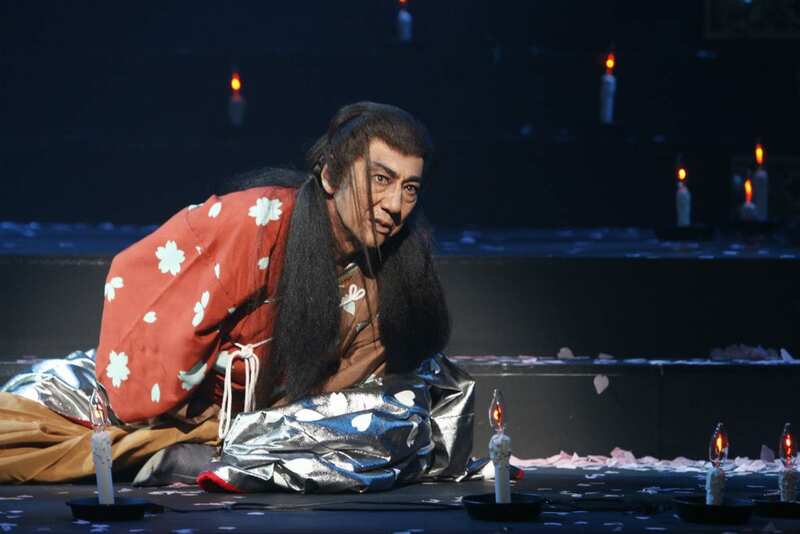 Special mention must also go to Kazunaga Tsuji’s excellent Banquo and Kenichi Ishii as the porter.